First proof! 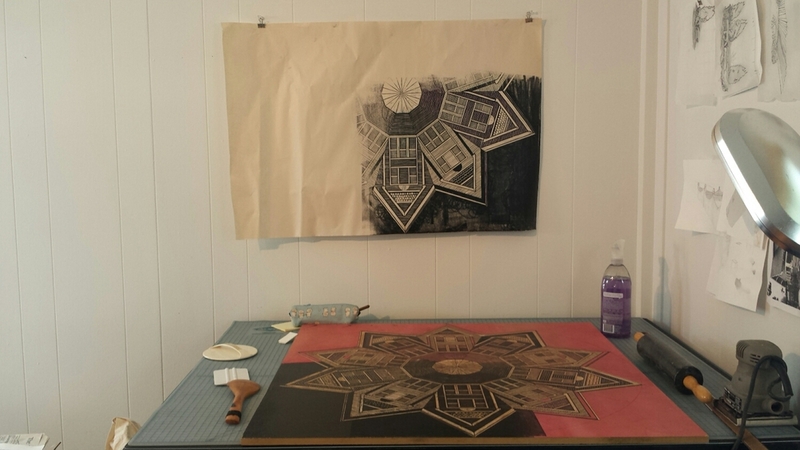 Anyone have advice on hand printing large wood blocks? I really can't spend another two years printing this.